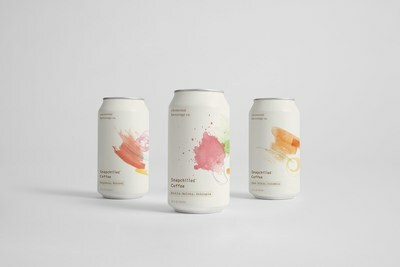 BOSTON, April 11, 2019 /PRNewswire/ -- Elemental Beverage Company is introducing a new way to experience freshly brewed flavors in a unique and nuanced cold coffee experience with their patented Snapchill™ Technology. Created to capture, preserve and enhance every note, distinction and flavor of coffee, without oxidation, dilution or additives, Elemental's new Snapchill Technology reinvents cold and delivers the perfect cup of cold coffee every single time. Elemental Snapchilled Coffee is launching with three bold single-origin coffees from Kayanza, Burundi; Kolla Bolcha, Ethiopia; and San Alejo, Colombia. Elemental Beverage Company is launching with three bold single-origin coffees from Kayanza, Burundi; Kolla Bolcha, Ethiopia; and San Alejo, Colombia. Each premium coffee is rated 85 points or higher on Coffee Quality Institute's Q Grading Scale and is professionally brewed hot and then immediately Snapchilled. Sold in six-packs of 12-ounce cans of each coffee or a variety pack, Elemental Snapchilled Coffee can be purchased online for $39.95 with free shipping in the continental U.S. at ElementalBeverage.co. Also available in limited quantities are Elemental Beverage Company's Limited Supply Offering (LSO) featuring ultra-premium single-origin coffees rated 90 points or higher, offered to demonstrate the platform's unparalleled ability to capture the nuance and flavor of even the most complex specialty coffees. The first LSO, made with Ninety Plus Estates' Founder's Selection, will be available in a 750ml bottle at the 2019 Specialty Coffee Association Expo in Boston, MA. Future LSO offerings will be available online at ElementalBeverage.co and will rotate quarterly. "We're excited to offer our customers delicious, chilled coffee with no compromise on taste or flavor, that can only be extracted when coffee is first hot brewed," says Elemental Beverage Company's CEO Jonathan H. Chen. "Whether enjoying our ready-to-drink canned coffees, or one of our exclusive LSO offerings, we're proud to be providing refreshingly cold drinks on demand, using little more than simple science, artistry and passion." 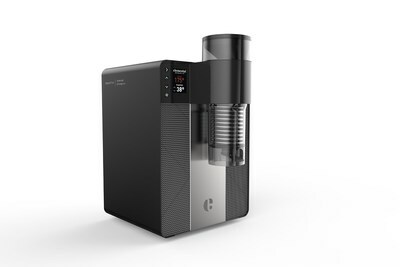 Elemental Beverage Company will launch its line of ready-to-drink Snapchilled Coffees and its Snapchiller machine at Booth #164 during the Specialty Coffee Association's Specialty Coffee Expo in Boston from April 11 to 14. Headquartered in Watertown, MA, Elemental Beverage Company uses groundbreaking thermodynamics innovation and tried-and-true heat exchange technology to create Snapchill™ Beverage Technology that enables a perfectly prepared cold cup of single origin, direct trade coffee each and every time. Founded in 2011 by a cold coffee-loving MIT graduate, Elemental Beverage Company seeks to reimagine the cold experience by cooling beverages in seconds to amplify and preserve their aroma, richness, body and flavor.